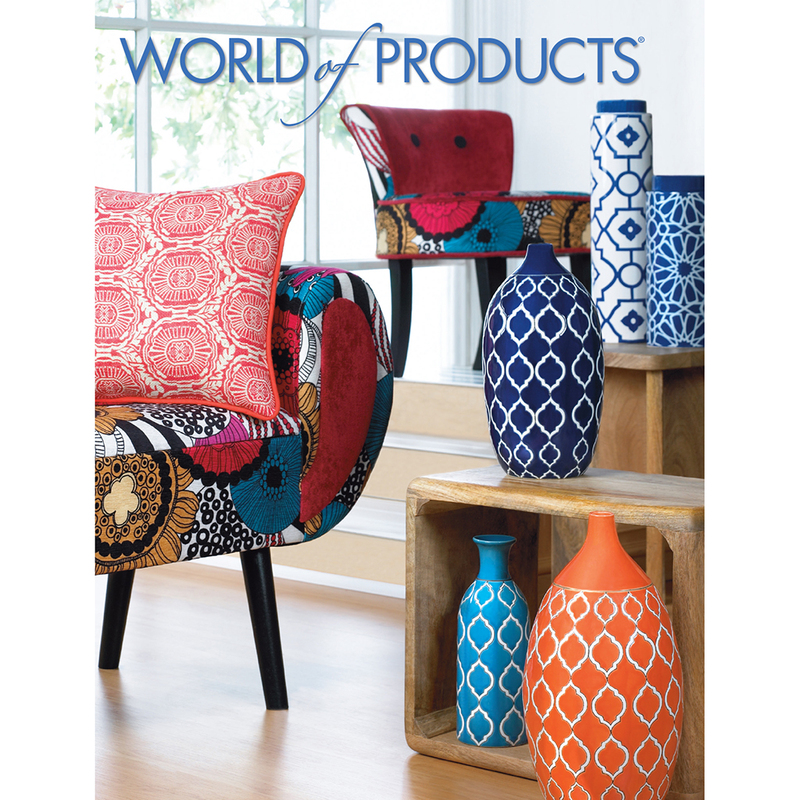 The World of Products catalog is your guide to all Ashtone Gifts products. Over 250 pages of best selling items. Weight 1.3 lbs. One AA 600mAh 1.2 V battery included. 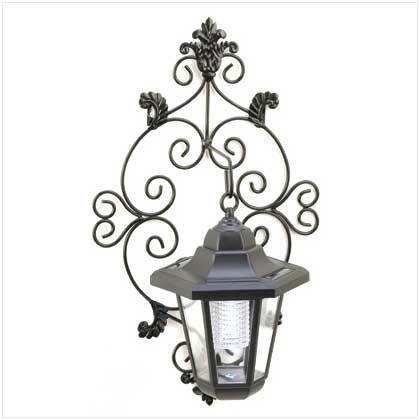 Set: 10" x 7" x 16 1/2" high; lantern: 6 1/2" x 5 1/2" x 8 1/2" high; sconce: 10" x 4 1/8" x 16 1/2" high. 13772 Brighten your favorite space with a luscious touch of the tropics. 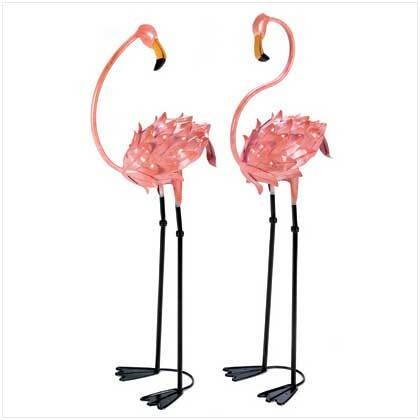 These life-sized metal flamingo sculptures make a colorful splash that’s a pure delight. Your friends will turn pink with envy! 14751 Let your imagination set sail as this handsome tall ship proudly crests your mantle or table! 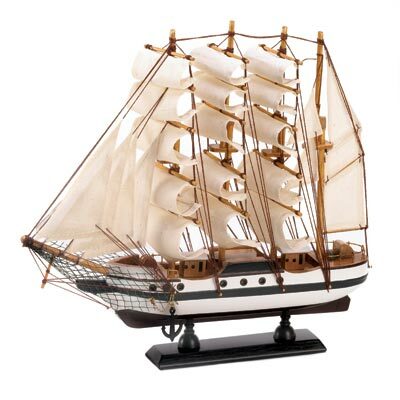 Exquisitely detailed model is stunningly authentic, from its billowing sails to its gleaming brass rails. Weight 0.4 lb. Wood and cotton. 13" x 2 3/4" x 12" high. 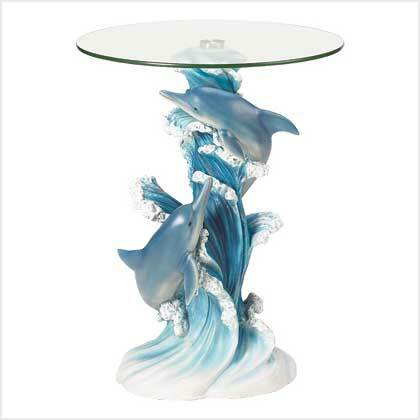 38425 Enhance your decor with a statuary table of incomparable artistry! Lovingly sculpted column base perfectly captures a dolphin pair's light-hearted joy and exuberant grace as they play amongst the foaming waves. Flowing lines and intricate details combine to create a stunning work of functional art! Polystone base; glass top. May require additional freight charge. 19" diameter x 24 1/8" high.